I call my website theoutershores because it describes the surf-swept shores I like to study and write about. It’s kind of a physical description of the exposed coast anywhere in the world. Thus, theoutershores is both a physical description and the name of this site. That’s a pretty good description of why I call my site theoutershores, but there is a traceable personal journey to theoutershores that I will now try to explain. The path winds its way past my first brushes with academic intertidal ecology- Between Pacific Tides was the first text book that ever captured my attention; past days and nights camping on the shores of the Gulf of California, The Log From the Sea of Cortez a constant companion; and finally, past all the Ricketts material, lovingly compiled and Edited by Joel Hedgpeth in the two volume paperback set, The Outer Shores. Between Pacific Tides, 4th ed. My first college biology text, I paid $8.25 for the 4th edition pictured above. That was 1974. I wrote about this book and my freshman zoology field trip to the Great Tide Pool, Pacific Grove, California in Coming Full Circle with Hermissenda crassicornis. Joel Hedgpeth’s preface to the 4th edition is probably the best explanation of Between Pacific Tides you’ll ever read. 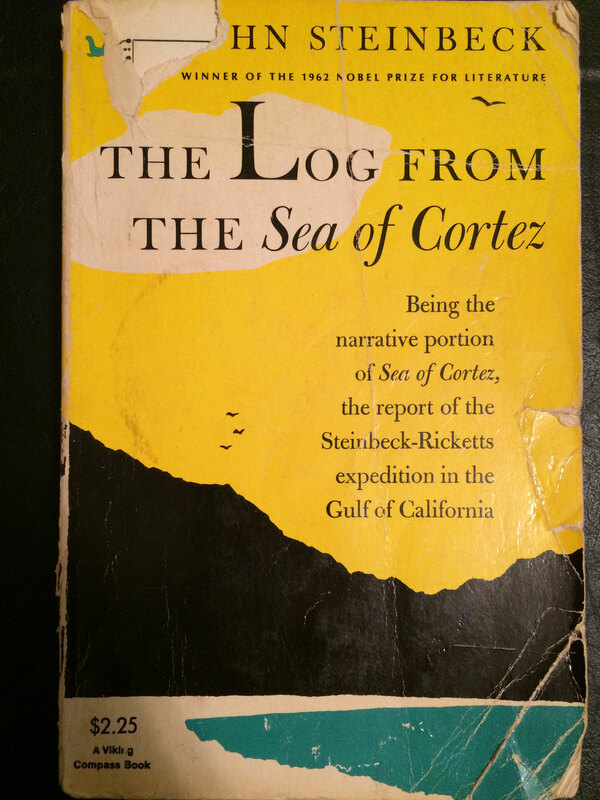 The Log from the Sea of Cortez, shown above, is the popular narrative portion of the 1940 Steinbeck and Ricketts collecting expedition to the Sea of Cortez. I always took it along on camping trips up and down the Sea of Cortex coast of Baja California, Mexico. Nighttime readings on the darkened shore were unforgettable. 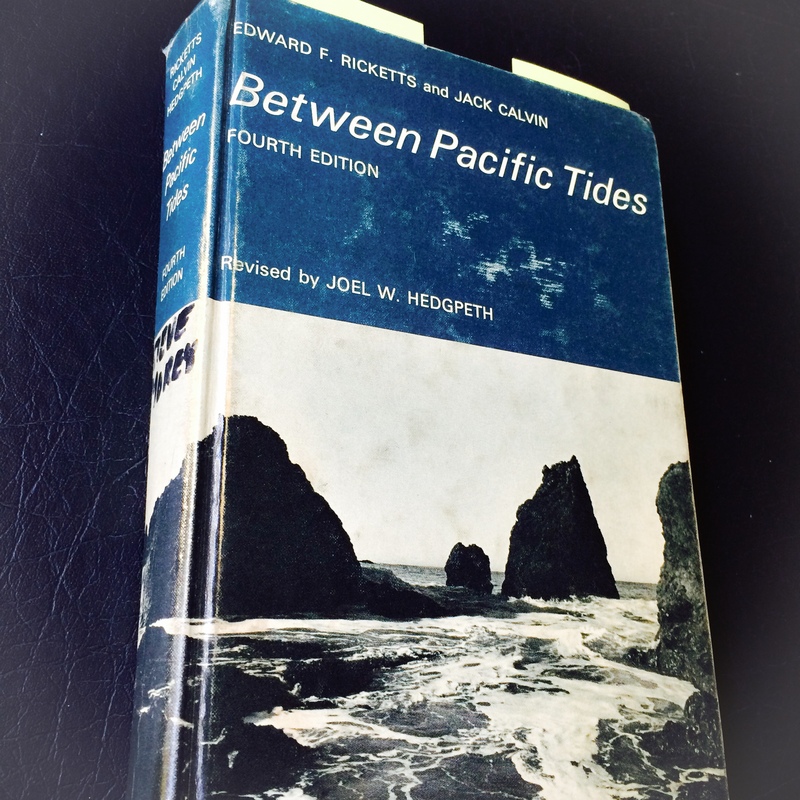 Along with Between Pacific Tides, it’s one of my favorite nature writings. Ricketts and Steinbeck planned a book about Pacific coast marine life, up the coast to Vancouver Island, and beyond, but Ricketts died in 1948 before the field work for The Outer Shores was completed. 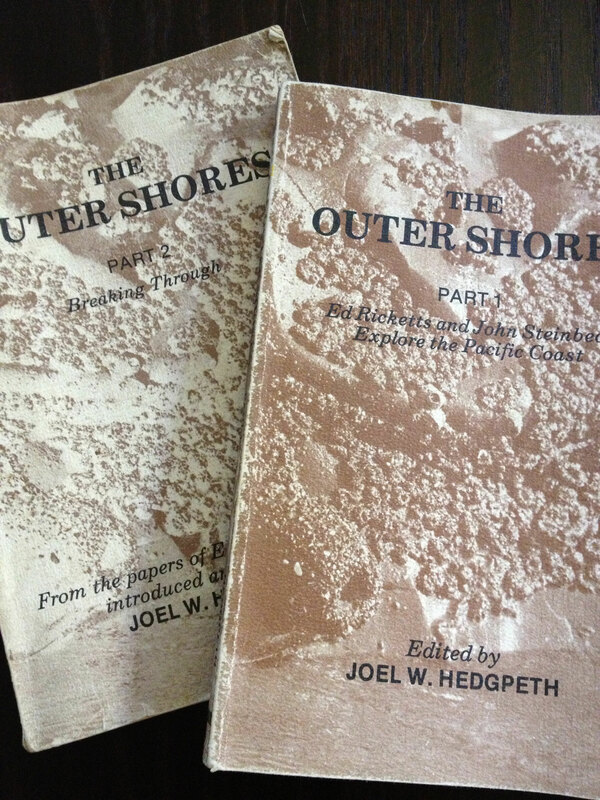 Finally, in 1978, Mad River press published Joel Hedgpeth’s edited compilation of a bunch of Ricketts material- mostly field notes and journal entries from Ricketts’ and Steinbeck’s trips on the Pacific coast- preparatory for The Outer Shores, and Ricketts’ unpublished essays, papers, and letters. This Ricketts material and the care of it shown by Hedgpeth moved me tremendously and I still remember poring over these little volumes, re-reading certain portions, like Essay on Non-Teleological Thinking, over and over, as a graduate student. My graduate studies and subsequent career took me away from marine biology for decades, and when, in late 2011 after re-connecting with the northern Oregon surf zone, I was thinking about a name that captured the essence of what my blog was about, I hadn’t thought about the three books mentioned above in years. All at once, seemingly out of nowhere, theoutershores hit me. At the time, it felt like an original thought. I now recognize theoutershores, via the Ricketts-Steinbeck-Hedgpeth connection was with me since my freshman zoology class. I think I’m going to stick with it; it’s a good fit. theoutershores is a physical description of surf-swept shores to be sure, but with connections that- and here I have to steal a phrase from Steinbeck- proliferate in all directions. J. W. Hedgpeth. 1978. The Outer Shores: Ed Ricketts and John Steinbeck Explore the Pacific Coast (2 Volumes). Mad River Press. Steinbeck, J. 1951 (The Viking Press Edition, 1962). The Log From the Sea of Cortez. The Viking Press. Next Quick, What’s This Worm? Thanks. That class has got me out of my comfort zone, but I’m glad I wrote the piece about the title. The same for me, and I”m glad I did. 🙂 It’s very evocative! Thanks Isaac. Tonight’s homework in Blogging 101 was to make a great About page, and I just completed that. I made a not super great revision, but it’s better than the old version. By the way, I just re-read yours and like it a lot. Wish I had done that before I started my homework!